Originally written for the Tenor Saxophone Collective at the EurSax ’17, Tenacity is the solo tenor saxophone and backing version forming part of a series of works for solo saxophones and backing using only one solo instrument to generate all of the sounds and effects heard on that track. Also featured is the Australian premier of Andy Scott’s Westland is an exploration of soundscapes that integrates carefully chosen multiphonics into the harmonic and melodic language, creating a musical journey that is at times fragile and at times robust. 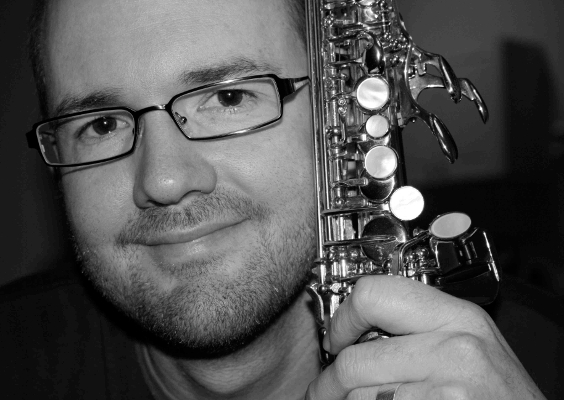 Dr. Matt Styles has built a local and international career as a classical, jazz and ‘cross-over’ saxophonist, performing and teaching in the UK, Europe, Asia and Australia. With more than 25 years teaching at primary, secondary and tertiary levels, Matt specializes in the interpretation, pedagogy and performance of classical, jazz and multi-genre or ‘cross-over’ instrumental works. The Western Australian Symphony, Singapore Symphony and the Malaysian Philharmonic Orchestra’s also utilize Matthew as their principal saxophonist. Dr Styles is a Selmer (Paris) and Vandoren Artist has appeared with such artists as Ben Folds, Diana Ross, Dave Weckl, Ben Lee, Paul Grabowsky, Kate Cebrano, Olivia Newton-John and The Manhattan Transfer and performed in 2001 Hong Kong Fringe Festival, the 2006 Villa Cellimontana International Jazz Festival in Rome and at the Nine Gates Beijing International Jazz festival as part of the Glyn Mac Donald Group (GMG) in 2011. He is also a guest soloist, (along with Dale Barlow) on Don Gomez’s In the Moonlight and appears on numerous other jazz, classical and cross-genre albums. He has performed also performed with international saxophonists Jean-Pierre Baraglioli, Otis Murphy and Andy Scott and was a featured artist at the 2002 Australasian Clarinet and Saxophone Conference in Sydney the 2005 Melbourne International Festival of Single Reeds, the World Saxophone Congress (2009, 2012) and the Royal Northern College of Music Sax Day (2013). In 2004 Matthew returned from a Churchill Fellowship where he focussed on jazz and classical pedagogical and performance studies in New York, as ‘Visiting Scholar’ at Indiana University Bloomington, working with Dr Otis Murphy and Dr Tom Walsh, and with Dr. Eugene Rousseau at the University of Minnesota. In 2008, Styles completed his Doctorate of Musical Arts at UWA discussing Schuller’s idea of Third Stream Music and the cross-genre works of Mark-Anthony Turnage. Since then, he has presenting his findings thoughout Australia and Asia and more recently, has been investigating a holistic approach to saxophone injury prevention and rehabilitation including an initial ‘motion capture’ pilot study. Finally, with over 25 years experience teaching at the primary, secondary and tertiary levels, Matthew is establishing himself as a prominent figure in music education, being able to communicate musical meaning to musicians and music lovers of all ages and stages. Currently lecturing classical and contemporary at WAAPA (Edith Cowan University) Matthew has recently completed his doctorate at the University of Western Australia and specialises in the interpretation, pedagogy and performance of classical, jazz and multi-genre or cross-over works. Giving workshops, masterclasses and concerts at the school level is also a passion of Matthew, who is always keen to encourage music students.